I’ll love you.. from a far. People are difficult right? I’ve thought that everyday of my life and i’m sure you have too. Human beings are some kind of complicated. I know I am. I get moody, and sometimes I just don’t feel like anything or anyone. Thing with me is, I have been blessed with a permanent smile on my face. I find laughter in everything(well almost), so I can easily mask my anger with laughter or a smile. Some people are just foul when they are in a bad mood. Anyway, I’m really not here to talk about moods today, I’m talking about friendships and relationships in general. People can be a tad difficult to understand when it comes to relating with them. We can’t really be friends with everyone, but how do you know if you truelly are your friends friends? We live in a world where nothing is really ever clear. Where people are rarely ever genuine and some people are yet to grasp that. So you give one hundred percent to someone and they give you nothing and you call them a friend? That makes no sense at all. Being a christians means we have to love EVERYONE, it doesn’t mean you should let yourself be treated like a door mat. Used as the said “friends” feel like. It’s okay to care for people, I really care for people but honestly if a relationship only brings you down then is it really worth it? You cannot really grow as a person, when your thoughts are always on hurt and pain caused by people. You cannot grow when the people you surround yourself with are stuck in a childish place.We all have genuine people, people that will be honest, people who help you improve, and lead you towards your goals. Even that one person that we can trust, and if not, we have prayer. Honestly, I believe that when it comes to those we interact closely with it’s better to be alone or with few people you trust than be among many and you can trust none of them. I know a lot of people but I choose to love a lot of people from a far. This means, I will be there for them when they are in need but I don’t rely on them or have any expectation of them for my anything. In time, we all grow and figure out which friends fall where, but if you haven’t yet, you need to really pray and meditate on it lest they make you slip up or lose the way towards your dreams or destiny. Life is too precious to waste on making relationships that were not meant to be close knit appear to be so. If you love all unconditionally and live a life focused on your purpose and God will not let you fall on the way side. He is after all our true love and friend. Here are a few verses on friendship and what you can look for in your relationships. So true. Focusing on God’s plan for us first leads to peace in our relationships. Great post! Great post! 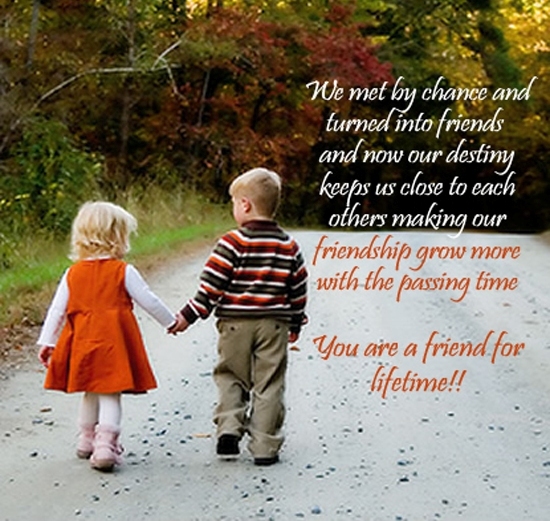 Makes me value my true friends and my Truest Friend! The more I love Jesus…the easier it gets to deal with others…Thanks for sharing. The Christian life makes no sense to the world. Sacrifice, putting yourself in a position to be hurt, giving up things that make your body feel good…these actions make no sense to people who have not put on the mind of Christ. His sacrifice makes no sense to those people. And yet, it makes perfect sense to us. The main danger from hurtful people is to be dragged down to be like them. And we can be protected from that by putting on the armor that He supplies. He will supply the human companionship that we need. We just need to be aware that it may not come in the fashion that we expect. It may come from a stranger, a coworker, a neighbor, or someone who rides next to you on the bus. We are on a long journey, and we have Bread for the journey. The Christian life makes no sense to the people of the world. Sacrifice, giving up things that make the body feel good, putting yourself in a position to be hurt by others…none of this makes sense to people who don not have the mind of Christ. Christ’s own sacrifice makes no sense to those people. And yet, it makes perfect sense to us. The biggest danger from hurtful people is to be dragged down to their level. If we put on the full armor the He provides, we are protected from this danger. Our human need for companionship will be supplied by Him, perhaps in ways we don’t expect. It might come from a stranger, a coworker, a neighbor, a person sitting next to you on the bus, or a spouse. We are on a journey and we have Bread For the Journey.